The singer's colleagues remember her final acting performance. Jordin Sparks: Whitney Houston Is "Incredible" in "Sparkle"
Just three months after wrapping work on the Detroit set of “Sparkle” – the remake of the cult 1976 film about the rise of three singing sisters, now set in the Motown-era ‘60s with Houston playing their stern matriarch – the oft-celebrated, oft-controversial singer was discovered in her suite at a Beverly Hills hotel, dead at age 48 from an accidental drowning. It was a tragic conclusion to what might have been a capstone to Houston’s ongoing, occasionally wobbly, professional comeback bid following years of personal dramas that derailed her. After leaving her longtime, often legally-embattled husband Bobby Brown and attempting to gain control of her substance abuse issues, Houston had slowly but surely mounted a musical return since 2009. “Sparkle,” a project that was close to the singer’s heart and which she chose to co-produce, was expected to be the latest step forward in her long-road to reclaiming the respect and admiration that characterized her early career by bringing her back to the big screen. Houston had acted in only a handful of films over two decades, making her big screen debut in hugely popular film “The Bodyguard,” followed by successes with “Waiting to Exhale,” “The Preacher’s Wife” and the musical television movie “Cinderella.” But with Emma, “Sparkle’s” devout and dedicated anti-showbiz mother, Houston demonstrates – despite some apparent tolls taken by her turbulent life – that she can still be a particularly compelling screen presence. The singer’s collaborators on “Sparkle” – her longtime producing partner and close friend Deborah Martin Chase, director Salim Akil, and co-stars Jordin Sparks, Carmen Ejogo, Tiki Sumpter, Mike Epps, Derek Luke and Omari Hardwick – share their memories of their colleague with PopcornBiz, recalling Houston’s generous spirit toward her younger co-stars, her enduring love of the source material and her expectation that “Sparkle” would be anything but her final film performance. Jordin Sparks Says Whitney Houston Was "Incredible"
Jordin Sparks talks about performing in the Whitney Houston tribute at the 5th Annual ESSENCE Black Women In Hollywood Luncheon. Also, she tells Access how wonderful it was to work with Whitney on their new film, "Sparkle." Carmen Ejogo: This meant so much to her, this project. She obsessed over it since she was 13. She watched it every single Saturday, for months after it first came out, the original version. And as a mother, the timing of her making this movie now – as opposed to eleven years ago when she first tried to start making it – was perfect, because she now brought an understanding of that role. This was right at the time when she was doing her comeback album, so I was in New York and Clive [Davis, Houston’s longtime mentor and music producer] has these listening parties: it was fabulous – it was in the big room at the Columbus Circle with Central Park as the backdrop. It was like a Who’s Who with Martha Stewart and Diane Sawyer and Diddy – It was full on! And she was gracious and beautiful and she sang. It was a fabulous evening. So after it was over I made my way through, and everybody was surrounding her, congratulating her, and I whispered in her ear ‘I have something to talk to you about.’ And she grabbed me and said ‘Girl, I’m in! I heard – we’re going to make “Sparkle” finally! I’ve got ideas for the music! I’m so happy!’ And we gave each other a big hug and that was the beginning of this journey. Salim Akil: She came to work. She had her script with her every day. She had notes in her script. We would talk about the scene. We would adjust this moment or adjust that moment depending on what I felt I needed, and she had totally given herself over the character. She really wanted to play the character of Emma, and not be Whitney Houston playing it – ‘Here I am, playing a character.” So a lot of people are touched when she sings that song – can’t help but be. But I don’t think you would be as touched if she hadn’t done the work up to that point, because you believe who she is and you believe in her pain and you believe in her struggle. Jordin Sparks: There's a parallel between Whitney and I, just with how we grew up in the church and started at a fairly young age. I'm still young at this point in my career and here I am working with Whitney – like, one of the biggest things for me, idolizing her. She did "The Bodyguard" and Kevin Costner was the biggest thing at the time, so she knew about being the person walking on set and just be like [shrinks into her seat] ‘Okay…here we go.’ We never really got a chance to talk about it, but she had gone through that, so she was like ‘Do you need anything? Are you okay?’ She was always very encouraging: ‘You got this. Believe in your gift’ – things like that. But then when it was the scenes where she was like ‘You ain't getting no [record] deal!’ I was just like [Bolts upright, eyes wide]. I was staring – I was sad because I had to react to it, so I was in that moment of Sparkle, but at the same time, I'm like ‘Whitney Houston is yelling at me! This is the most amazing thing ever!’ So it was really fun. Part of me was freaking out because it was Whitney and the other part of me is like ‘Jordin, calm down! You need to work.’ I was exhausted at the end of the day with all that going on, but it was incredible to be able to work with her. Mike Epps: Man, I remember going in the trailer in the morning – the makeup trailer is like the water cooler area – and Whitney had her little compartment up there where she was doing her hair, and boy, she was playing Michael Jackson in there and she was singing with him. It sounded like both of them was in there, and I was like, 'Damn! Whitney and Mike is in there getting their hair done!' Michael firing back. Whitney firing back – I'm not lying: I'm sitting there, she's behind the door and was bumping Michael Jackson and she was singing with him. It sounded like they were both in the room, getting their hair done. Derek Luke: We had a photo-shoot with Whitney, and that woman – she can move, man! Me and Omari had her sandwiched and we had music on and we weren't grinding, but we were dancing, and she was just working it. She was working the camera. She was working us, and to me that's just a moment that sticks out right now. Getting to see the diva. Sparks: She was one of us. She just loved hanging out with us. She loved talking to us and she just wanted to see everybody else do well. She just wanted to push everybody else into the spotlight, which was completely unexpected, but instead of being like ‘I'm gonna film my scenes and go back to my trailer and I'm not gonna talk to anybody,’ she would come to set just to watch some of the scenes even if she wasn't working that day. My biggest thing that I learned from her – which I knew already, but it's always good to have a reminder – it doesn't matter how big you get, you're never too big to say hello to somebody or to have a conversation with somebody or smile to someone. And to see that example from Whitney – it was so incredible, having loved her and idolized her. 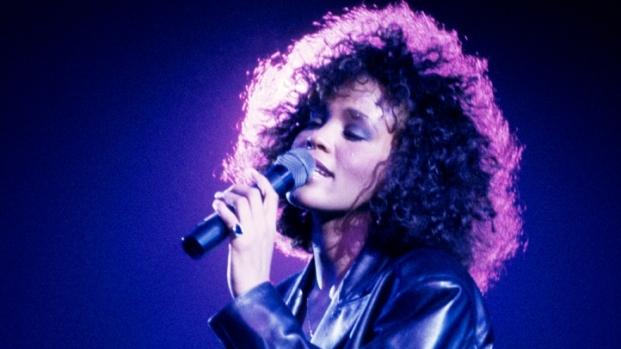 Martin Chase: Whitney always saw herself as a musician first and that the acting came her way, wasn’t something she fought for – Kevin Costner approached her about being in ‘The Bodyguard’ – so in some ways she took it for granted. And she didn’t train, but she had natural instincts. But she would always say ‘I’m a singer first.’ So I think she went through a period where she wanted to live. You know? She had done everything, been on the road since she was a young woman. You get to a point in your life where you want to catch up with your life, spend time with your child and your husband or whatever – and obviously her life had its tumultuous periods. But…she was ready. She was just really ready. I think that in terms of the priority of comebacks, it was more important for her personally for her to come back as a singer with that album, and the warm reception that it received let her know that people still cared. And then she was ready, when the right thing came along, to get back into acting. Ejogo: You have to really respect the body of work. I think really great, great artists rarely lead flatline lives. They're going to be up and down by the nature of the fact that they have brilliance about them. So if at the end of the day you can look back and recognize that there was a body of work to respect, which I think was absolutely the case with Whitney, then it shouldn't be a surprise that to work with her on set – she delivered. She's consistently delivered as an actress onscreen. It's easy to be distracted by a lot of the personal life experiences that she went through, but professionally, onscreen as an actress, she brings to the table everything that you expect of her, of her career. Martin Chase: I went up to her after one of the scenes and I pulled her aside and I said ‘You’ve always been a movie star, but now you’re an actress.’ She beamed. She’s, like, ‘Really?’ and she hugged me. She knew it. See, Whitney, above anything, was a pro. [Since childhood] she was in the studio with [her mother] Cissy, with Elvis [Presley], with Aretha [Franklin’, and she knew everybody. And for all the craziness that would go on, she had great instincts: she knew when she was on, she knew when she was off. I used to watch her – it’s funny: when I first started working with her, she would sit in her trailer and she would watch her old performances, and at first I was like ‘Really?’ But she studied them. What she did right, what she did wrong. What she could improve on. She was a pro. So she knew. She knew. She knew she was great. Akil: After the movie, she whispered in my ear ‘We have to do this again.’ And I said ‘Yes, we will.’ So I thought I she was headed toward doing another movie with me. Seriously, I thought she was proud of the work she did, and excited about the work she did, and I know that she was swimming every day and was ready to go get it done. So that’s what I thought she was going to do. I was looking forward to her next movie, and hoping it would be mine. Martin Chase: Whitney singing “Eye on the Sparrow” was just in the moment…We were all in tears. And honestly, it was that combination of…her voice was not what it once was, but it carried a gravity and the richness of a life lived that made the emotion of it all the more real and compelling and it was a beautiful moment. Ejogo: I feel like we caught something that's such like a goodbye gift wrapped in this perfect bow that is so profound on levels that maybe she wasn't even aware while she was making it that she was delivering. And now with her passing it just becomes even more intense for me. Martin Chase: For me, personally, when I’ve sorted through everything, this is my gift to her, that this will be how people remember her. Not the funky pictures of her coming out of nightclubs or some of the other parts of her life, but to see her beautiful and happy and to remember how talented she was.